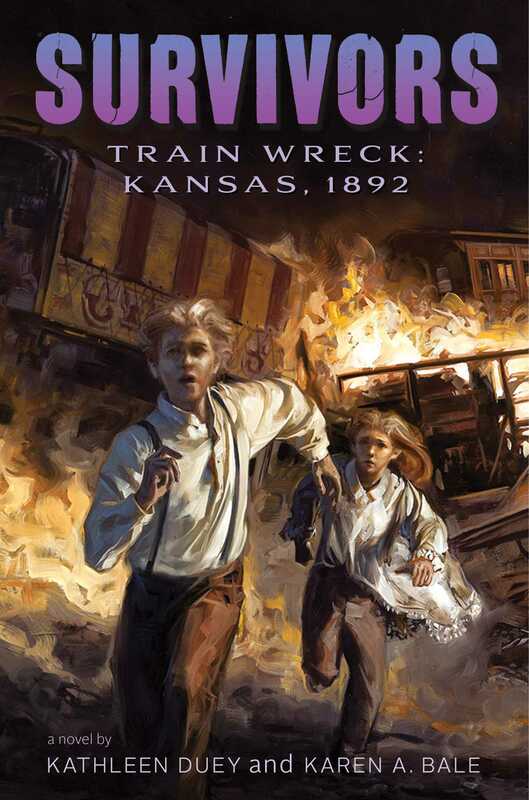 Can two kids survive the events that follow a dangerous circus train wreck? Find out in this eighth riveting tale of historical fiction, part of the Survivors series. The circus is the first home where Maximo has ever felt safe. He dreams of becoming an animal trainer and envies Jodi—a girl who was born and raised in the circus and is already an accomplished performer. But ever since Jodi’s mom was injured, Jodi has been unable to get back on the high wire. When a train wreck sets a herd of elephants and a dangerous Bengal tiger loose on the countryside, both Max and Jodi must face their worst fears. Can they conquer their terror and survive the longest night of their lives? The wide doors stood open on the elephants’ boxcar. Old Mom was anxious, and Maximo fit his bull hook over his forearm, freeing his hands to rub her leathery skin. The train master was walking down the line, shouting orders. Max tried to remember where they were. Beloit, he was pretty sure. Beloit, Kansas. Today was Sunday, so there would be no performance. A day off. Max tried to recall the last Sunday he had spent anywhere but aboard a moving train. He couldn’t. The sun was almost up. The gray light silhouetted Hickory’s sloping back and enormous ears. He was chained nearest the door so he could be unloaded first. Hickory didn’t like the train, and he could sometimes be hard to handle if he got impatient enough. Next to him, Donner, Front, and Big Girl were half turned to look outside. Trilby and Norma were still sleepy, their massive heads low and their tails and trunks motionless. With the bull hook swinging from his arm, Max rested his hand lightly on Old Mom’s shoulder. “I’ll give you a scrubbing today,” he promised her. “I’ll make sure you get a good bath.” She reached toward him with her trunk, fluttering a breath over his face. She was swaying in her chains now. Hickory began trumpeting, a sound that ricocheted deafeningly off the boxcar steel. Max put his fingers in his ears, his eyes moving from one huge animal to the next, alert to any sign that the elephants were about to act up. If they did, he would be expected to try to calm them. The idea of being in a boxcar with seven unruly elephants scared Max, but only a little. Mr. Cooper would be watching him, and Max was determined to prove himself. Mr. Cooper never showed any sign of fear, not even when he was working the big cats. Hickory finally stopped his noise, subsiding into a raised-trunk whuffling sound. Through the frame of the open doors, Max saw the cookhouse wagon roll past. He could hear the clanging of the crossover plates as they were shoved into place. It wouldn’t be long before the wagons at the front of the train were hitched, one by one, to the pullover teams, and unloaded. With her trunk, Old Mom nudged the bull hook to one side, then pushed gently at Max’s jacket pockets. She knew he had an apple for her. She also knew she wouldn’t get it until the train was half unloaded. She loved apples and she knew that standing still and being patient would be the price of this one. Max nodded, but Mr. Grayson was already gone, working his way down the line of boxcars. Max talked to Old Mom in a low, comforting voice. He saw the ticket wagon go by, then the office wagon. The first tableau wagon, with its fanciful carvings of angels and cherubs, rumbled past, drawn by a hitch of six Percherons. The heavily muscled horses walked steadily, their heads high. They would be surprised when they were unhitched at the lot instead of being plumed and garlanded for a parade. Old Mom lifted her trunk and touched Max’s cheek, then his shoulder. He no longer flinched when she was affectionate, but he could never forget how strong she really was. He had seen her kill a pig once. The squealing animal had escaped from a farmer’s wagon, then run past the elephants, blundering into Old Mom’s leg. Startled, she had lifted her trunk only once, the motion so swift that Max had not had time to react in the instant it had taken for the two hundred pound pig to crash to its knees, its neck broken. The farmer had been furious, but as upset as he was, he had kept his distance from Old Mom while she sidled and trumpeted. The metallic clanking of the crossover plates came closer, and Max watched two more tableau wagons roll past. The second one was his favorite. It depicted the story of Sleeping Beauty. Jodi Jamison had played the part when Max had first seen the Hamilton-Shaw Railroad Circus in Hermosillo a year ago, but another girl did it now. Mr. Cooper had put Jodi up on Old Mom to add a little more flair to the parades. Jodi’s training as an equilibrist made it easy for her to stand on the howdah platform, balancing against Old Mom’s swaying gait. With Jodi’s long hair and her satin cape billowing out behind her, it was a striking parade stance—the crowds always cheered. Old Mom had not liked the cape at first, but she had gotten used to it. She liked Jodi, too. Max reached up to stroke Old Mom’s wrinkled skin, rubbing gently just above her trunk, where she liked it best. When the next three tableau wagons had gone by, Max reached into his pocket. Old Mom waited until he held out the apple on his palm, then whisked it into her mouth without touching his hand with her trunk. She crunched the fruit contentedly, and Max was sorry he didn’t have a second apple to give her—but he knew Mr. Cooper was right. Even when there were extra apples, it’d be wrong to give her more. Mr. Cooper said that if Old Mom came to expect extras, she would be upset when she didn’t get them—and the other elephants were often affected by her moods. She was the eldest. All the others respected her. “Yes,” Max shouted back, automatically gripping his bull hook and lifting it from his arm. Mr. Cooper’s voice had startled him, and he realized he had relaxed into daydreaming. It was the kind of mistake that killed animal trainers. He bent to unhook Old Mom’s chains as four animal attendants scrambled into the car. Talking quietly and moving slowly, they spread out, freeing the elephants in the order that they would step down the ramp that was being locked into place by roustabouts on the ground. Mr. Grayson waited outside. Max saw him glance at his watch, then pocket it as the elephants started to move. Hickory went first, and the whole boxcar trembled with his weight as he went down the metal incline, his chains rattling. Old Mom followed him without any guidance at all. Max walked beside her, keeping close to her massive head as she stepped onto the railroad siding. Hickory’s attendant slowed him, and Old Mom went around, taking her rightful place at the head of the line as the other elephants emerged into the grayish light of dawn. Skulking through the train yard, a scruffy white dog started barking when it saw the elephants. Hickory trumpeted. He hated dogs. Max kept himself alert, light on his feet. “Tail up!” Mr. Cooper shouted, popping the long black whip he always carried. It was a sound as sharp and quick as gunfire, and the elephants shambled into place, each one reaching with its trunk to grasp the tail of the animal in front of it. Mr. Grayson gestured at Max. Max nodded and touched the back of Old Mom’s heel with his bull hook as he spoke the command. She started forward. Up ahead, the long line of tableau wagons moved slowly, turning up a dirt road in the distance. Max hoped the lot was at least a mile away. The elephants needed to stretch their legs before they were tethered again. He glanced back at Mr. Grayson, who walked beside Trilby, the calm old female that brought up the rear. Walking fast to keep up with Old Mom’s long stride, Max heard high-pitched giggles of excitement as he led the elephants past the last few flatcars. Looking up to his left, he saw a line of towner kids, perched on the flat roof of a grain shed. They were pointing and staring, poking one another. Max glanced back. Mr. Cooper was busy with the cat cages, now. The new Bengal was throwing itself against the bars again. Max could hear Mr. Cooper calling for more help with the team. The horses would not approach the cage wagon or submit to being harnessed until the big cat stopped roaring. Max turned to see one of the towner boys sliding to the ground. “Don’t come too close,” Max shouted back, then glanced at Mr. Grayson to see him nodding his approval. “Is this okay?” the boy asked, trotting to catch up, then walking parallel with the elephants. He was grinning, his sunburned face alive with amazement. “Sure,” Max said, then looked at Mr. Grayson, who nodded again. Max knew that letting people get a look at the animals early sometimes meant a bigger turnout for the parade. “Haven’t you ever seen an elephant before?” Max called to the boy. The boy nodded, still grinning. “Twice.” His eyes were lit, fastened on Old Mom. “I’d give anything to do that,” the boy said quietly. Max wondered if it was true. It had been for him. He had never even gone back to the mission to get his clothes. He half turned and saw Hickory sidling along at an angle, trying to get a look at something. “Tail up!” Max shouted sternly, and Hickory came back into line. Mr. Grayson gave Max another approving nod. “Mr. Cooper does even better than that,” Max told the boy. Up ahead, he saw the last of the tableau wagons turning up the dirt road. The boy nodded and grinned again. “Pa says we can go for the evening show.” He looked off toward the grain shed, and Max knew he was wondering if his friends had been watching him all this time. “Nice meeting you,” the boy said as he stopped, then stood watching wistfully as the line of elephants lumbered past him. “Step left,” Max said quietly, straightening his shoulders, even though he knew full well that Old Mom was smart enough to follow the tableau wagons all the way to the lot by herself. The closer they got to the field where the circus was setting up, the more onlookers they passed. Whole families had come out to watch. Their wagons lined the edge of the cornfield that bordered the road. Up ahead, the heavy wagons were rumbling around another turn. Hickory trumpeted once more as Old Mom rounded the corner, his huge flat feet raising puffs of dust with every step. Max glanced back. Mr. Grayson was coming up alongside Hickory to steady him. When Hickory trumpeted a second time, Max turned to see the huge bull swing out of line, his trunk raised over his head. It was only then that Max noticed the white dog again. It must have been slinking along after them all this time. Now it began to bark again, a shrill, sharp sound. Hickory started toward it, and Mr. Grayson raised his bull hook. Max stopped Old Mom, bringing the whole line to a halt. Then he ran to help, his bull hook swinging from his arm. 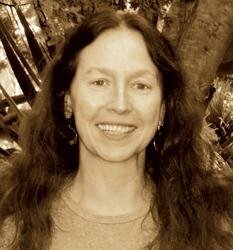 Kathleen Duey’s works include the middle grade American Diaries and Survivors series, as well as the well-reviewed chapter book series The Unicorn’s Secret and its companion series, The Faeries’ Promise. She is also the National Book Award–nominated author of Skin Hunger. She lives in Fallbrook, California. Karen A. Bale grew up in southern California and graduated from the University California Riverside. She has written seventeen historical romances, including the successful seven-book Sweet Medicine’s Prophecy series. She has done freelance work for several years, including helping to write two nonfiction books. Karen still resides in southern California, ten miles from the Pacific Ocean. More books in this series: Survival!